At Midtown, we believe it’s our responsibility to provide our residents with a community, not just a place to sleep with fancy amenities (although we have those, too). 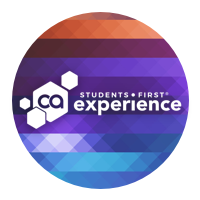 Our nationally recognized Students First® experience is a unique opportunity that is going to launch you to success now and in the future. We pride ourselves in helping our residents achieve greatness in all areas – life, growth, and success. You’ll be part of a dynamic and positive community focused on YOU. Choose from a calendar full of fun events, and take advantage of resources and workshops to help you succeed in college and into your career. Our highly trained staff offers an unmatched level of service and provides residents with experiences and services designed to meet your needs. Come and find out for yourself what it means to live as a Midtown resident!